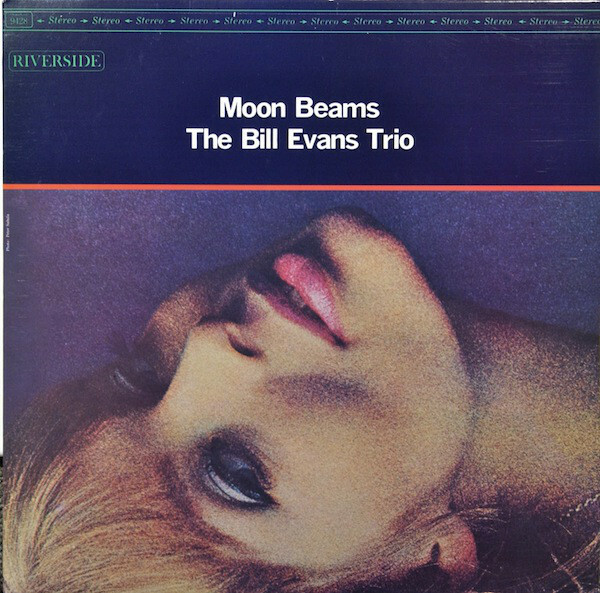 I haven’t listened to Bill Evans’ Moon Beams in a while. I listened to it yesterday afternoon in my living room sitting next to the right channel. I was completely blown away by Chuck Israel’s bass, which I hadn’t really heard before but which is panned hard right in the stereo mix. It made me think I was listening to a recording from a different, much more recent decade. Special bonus note: The cover model was Nico. As expected, when I started posted family history, I started getting clarifications and corrections from my family. (Thanks, Dad!) Following my post about my grandfather’s close brush with World War I, my dad emailed me to say that Papa Olin had actually been in Officer Candidate School at Tusculum College. As a newly minted second lieutenant, he would have been sent off to the front lines. Fortunately the war ended before that could happen. I’m now hunting for documentary evidence of his time at Tusculum. Unfortunately I can’t find any online records from that period—no issues of the Tusculana, no records of OCS participation, nothing in Ancestry.com’s military databases. If anyone can recommend a place to look, I’d appreciate it. 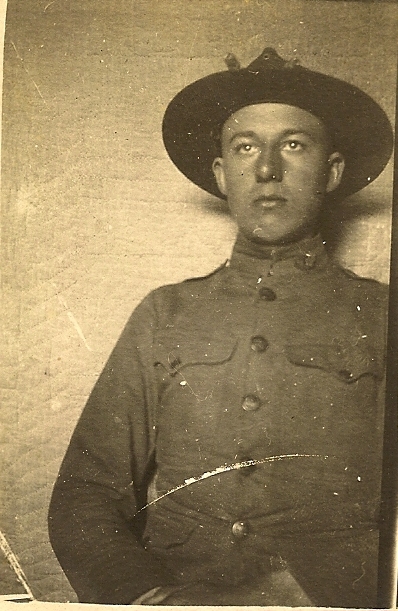 As mentioned, we know (thanks to photos like this and a uniform folded away in an attic for seventy years) that my grandfather (Papa Olin) was going to be called up for a war that, mercifully, ended before he could see service. Unfortunately that’s about all we know. His name doesn’t show up in the military records I can see on Ancestry.com. It’s possible he was only called up locally and then his records were destroyed before the Army got them. I don’t know. But the pictures of this scientific farmer in his World War I uniform remain a little bit of a mystery. In 1924, at the age of 19, my grandmother Linda Freeman married my grandfather Olin Jarrett. He had been courting her for a while; she attended the Dorland-Bell School in Hot Springs, which she credited for the rest of her life with teaching her to read, cook, and love the Presbyterians. 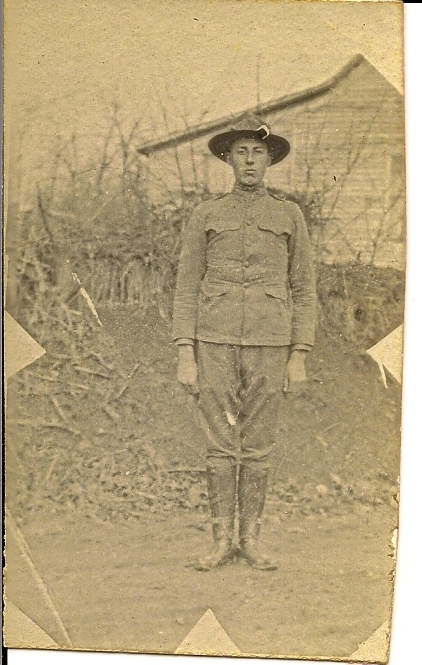 He was a farmer in Madison County who narrowly missed going overseas in World War I—there are two photos of him in the uniform I would find in the attic seventy years later. Now he was living with his papa Zeb and mother Laura in their house on the side of a holler, learning about modern farming at the extension at Mars Hill. It’s 16.3 miles by modern roads from downtown Marshall to Hot Springs. It would have been an impossible journey without staying overnight, which was itself impossible, by mule. But the railroad had come through Marshall in 1871 and passed through Hot Springs on its way to Painted Rock, Tennessee. 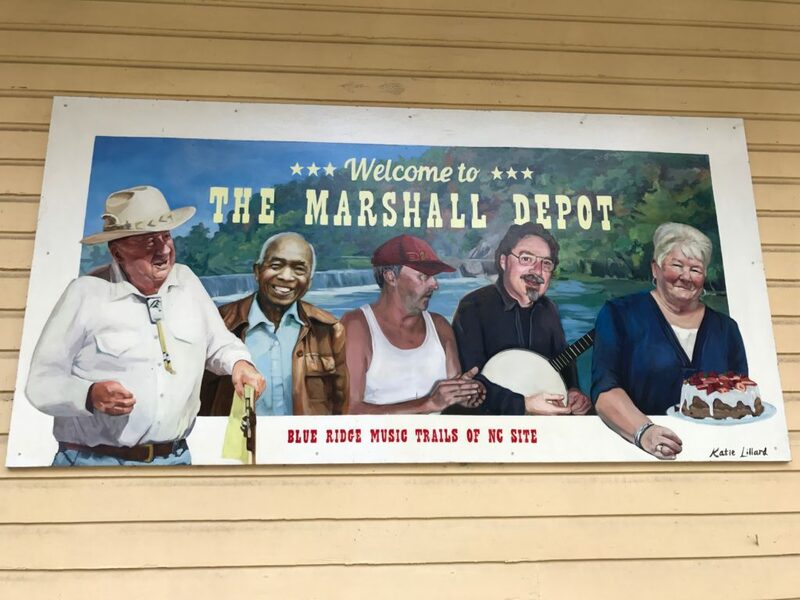 So my uncle caught the train at the Marshall Depot and rode it as it twisted its way along the French Broad River all the way into Hot Springs. My grandmother always credited the railroad for bringing them together. And so Uncle Forrest, who had worked for Norfolk Southern since 1952 and was now Director of Police, put in a few calls, got ownership of the Depot transferred from Norfolk Southern Railway to a group for a pittance, and went about transforming it into what it is today: a venue for live mountain music. And cakewalks. A few years ago a local artist memorialized a group of folks associated with the life of the Depot. That’s my Uncle on the left, in his hat and holding the clipboard, along with the lady responsible for the cakewalks. And, of course, the Chicken Man. Fifteen years ago this week I was sitting in the rain on a fifty-degree day in Cambridge, hoping my Dad wouldn’t catch pneumonia and listening to the commencement speaker (who, being from the World Bank, was getting his share of protesters). It was a momentous month; in addition to my first Blogaversary (and hard to believe we’ll celebrate the sixteenth tomorrow), we were consolidating belongings from storage in New Jersey with the contents of our North End apartment; I was driving south to North Carolina for a family visit and my first visit to the Marshall Depot (about which more soon); visited with my grandfather; spent a week batching it as Lisa flew ahead to sign the closing papers on our house; packed up our apartment; and settled into our new home in Kirkland. June will forever feel to me like a time of transit. But it also becomes a time of reunions, and it was amazing seeing so many familiar faces and hearing people’s life stories. I look forward to doing more of that tonight. 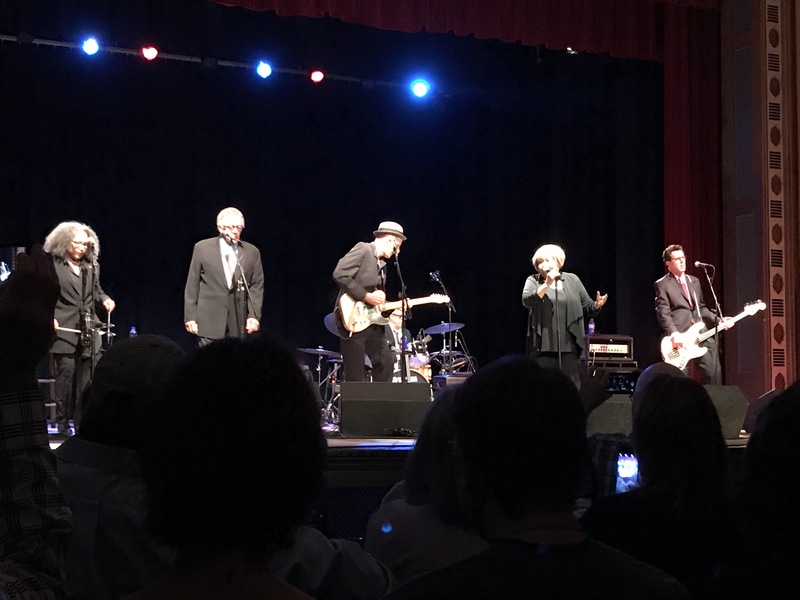 I went to see Mavis Staples in concert at Cary Memorial Hall on Friday night. It was immensely moving and a hell of a lot of fun. 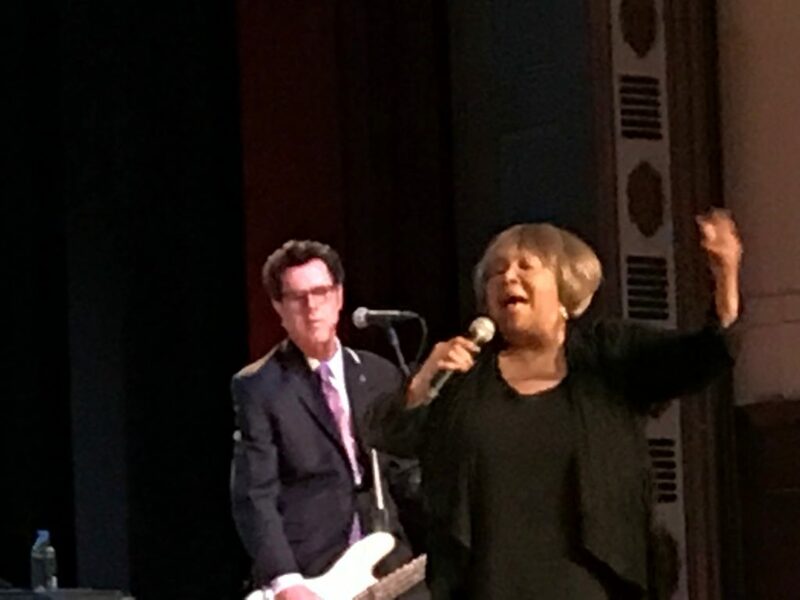 Mavis’s sets are heavy on covers and on Staple Singer tunes, which on paper sounds problematic until you realize just how completely she owns her covers. I couldn’t have told you that George Clinton had been anywhere near “Can You Get to That”, so thoroughly did she own the song, and yet it was also recognizably funky. Mavis was the most moving in “Wade in the Water,” where she started testifying after the song was over, then stopped about a minute later. “I didn’t mean to get ugly up here,” she joked back to the band. Mavis clearly has health issues. She was helped to and from the stage, had to move carefully, and displayed what looked like shortness of breath. I hope that she continues to be with us for a long time. It’s back. This Cocktail Sunday post leaves the familiar world of whiskey and gin behind and weaves its way over to brandy. Which seems fitting given that this cocktail was designed for one of the wealthiest men in America, Cornelius Vanderbilt. 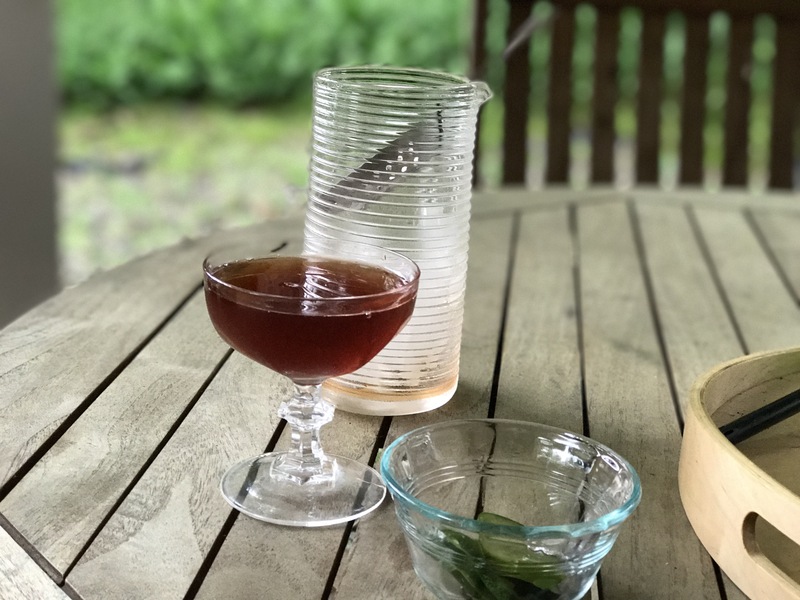 Vanderbilt wouldn’t have been drinking any cut rate brandy in his cocktail; he would have used VSOP Cognac, and I recommend (following the advice of David Wondrich) that you make the same substitution in any classic cocktail calling for brandy. Life is too short to do otherwise. The big question in this cocktail appears to be the proportions. The first written recipe I’ve found for it, 1922’s Cocktails and How to Mix Them, calls for 1:1 brandy to cherry liqueur, which seems likely to yield something way too sweet. The Savoy’s Harry Craddock in 1930 dialed it back to a 3:1 ratio, which seems just about right. One curious note about the name: the 1922 source says it was named for Col. Cornelius Vanderbilt, “who was drowned on the Lusitania during the War.” But the Vanderbilt on the Lusitania was Alfred Vanderbilt, and there was no “Colonel Vanderbilt” alive then. So: poetic license. It’s grilling season, and for some reason I had extra homemade pickles that wouldn’t fit in the jar. Turns out they’re wonderful with the Vanderbilt. Who’d have guessed? 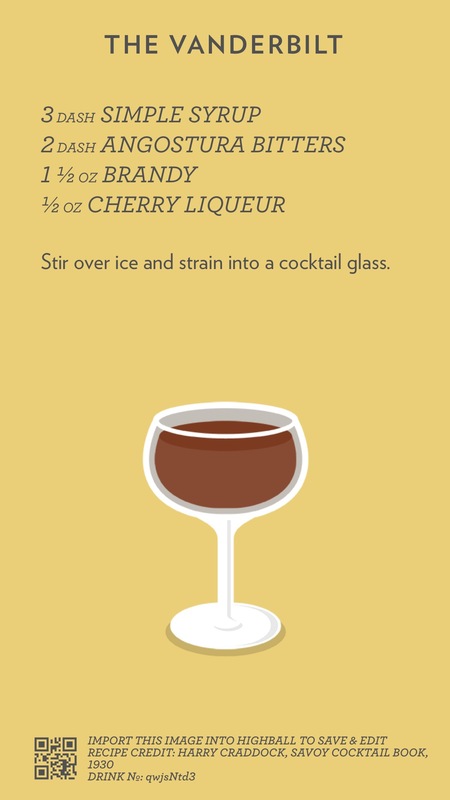 As always, if you want to try the recipe, here’s the Highball recipe card. Enjoy! Yesterday I bought and connected a Rega Fono Mini A2D phono pre-amp to my new Marantz amplifier. Setup had me swearing for a minute, until I remembered that setup turned on the input ports depending on what was connected when the receiver was first run, and that I needed to use the onscreen menu to turn on the input I was running the Rega into. Initial listening — a Marian Anderson 45 of spirituals which was unfortunately staticky, the new Beatles Sgt. Pepper remaster — was sublime. Looking forward to getting in some more listening this week. Well, the Marantz does have a built in phono preamp. I’ve even used it, and it sounded fine on cursory listen. What it lacks is a tape monitor out connection. And without any sort of output connector, it’s impossible to use the system to digitize vinyl. Which meant either I needed to get a USB turntable—and I don’t want to part with my Denon DP-45F—or add a pre-amp with a digital out. And the Rega works just fine for that as well. But the absence of “monitor out”—the closing of the traditional “analog hole” even in a relatively high end consumer system—has me thinking anew about future-proofing, customer “requirements” vs. unanticipated use cases, and product features that appease other parts of the supply chain to the inconvenience of the customer.